I'm a huge Hourglass fan and have been for years. However, I have been trucking along just fine with the ambient lighting powders as a highlighting option from them, but these new Vanish Flash Highlighting Sticks appealed to my current love of cream products. 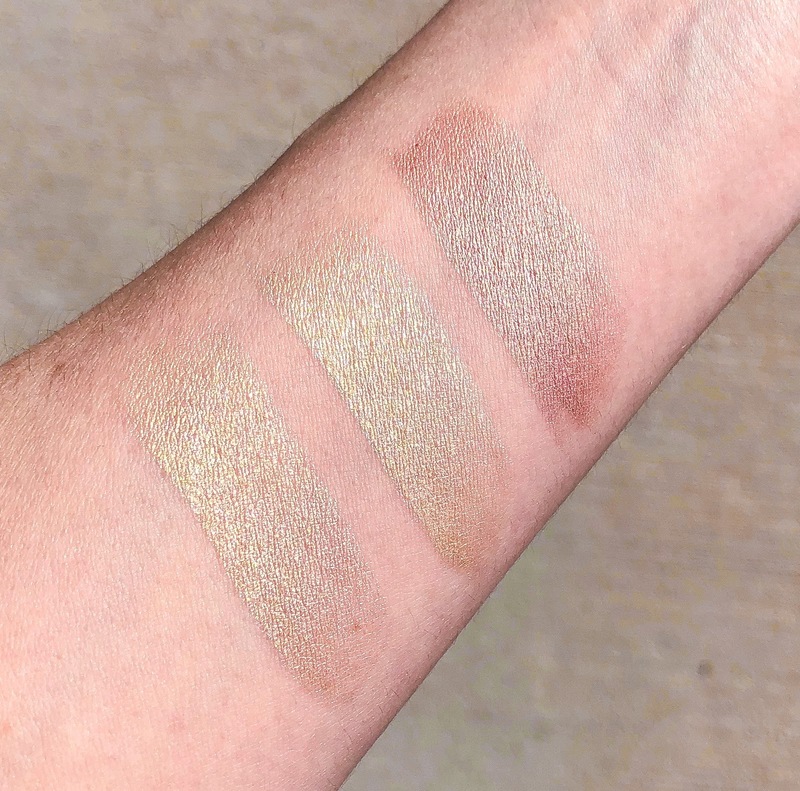 I chose the 3 shades that I thought would work best on my pale skin - Champagne Flash, Gold Flash and Rose Gold Flash. Upon first swatching them, I anticipated a bit creamier and more emollient texture that would easily blend but may stay tacky on the skin. Surprisingly these have a much drier feel than many of my other cream highlighting products. 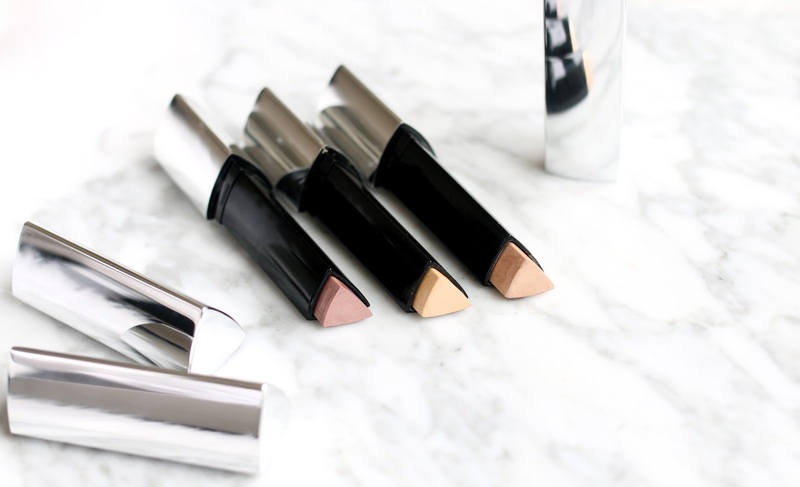 They remind me of the Fenty Beauty Match Stix that I love to use (my favorite shade is Yacht Life). Even though it feels more dry to the touch, it does apply and blend easily without feeling like it's removing or moving around my foundation. I like to stripe it directly onto my cheekbones and then blend out with my fingers or a stiff synthetic foundation brush. Once it is sheered out and blended, it looks stunning! It gives the illusion of fresh, glowy skin rather than a makeup highlighter. My favorite shade to use is Champagne Flash, with Gold Flash coming in second and Rose Gold Flash third. For those with oily skin, this would be a great option since it is not too dewy/tacky and dries down. To anyone that has drier skin like myself, I prefer to apply it to either bare (well hydrated) skin or on top of a liquid/cream foundation (stay away from applying over powder). Again Hourglass impresses me and leaves my skin looking better than ever!